Sunshine families, grandparents, staff, alumni, alumni parents, and friends provide financial support to Sunshine Preschool every year because they have a deep commitment to a school that fosters innovative thinking and a sense of social responsibility in young children. 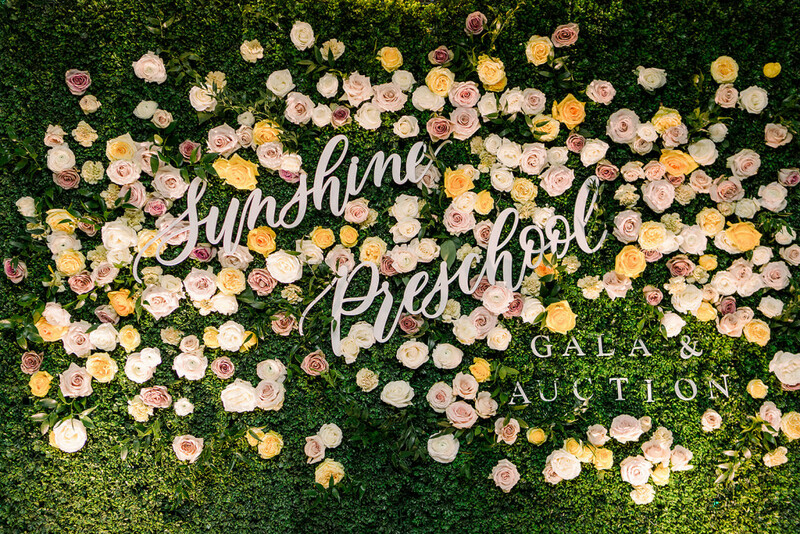 Each year Sunshine Preschool holds a Fundraising Gala Auction that includes a “Silent” and a “Live” auction. Planning of the Auction is directed by parent volunteers from within the Sunshine family with support from the Sunshine administration. Funds raised at the Auction are used to help support staff, scholarships, school enrichments, technology, special projects, and our sister school, Proyecto Pastoral Early Childhood Center (www.proyectopastoral.org). Parents are asked to procure and/or donate auction items of goods and/or services, solicit gifts from friends and associates, and to bid generously during the Gala event. We are grateful to our generous community for their many contributions. As a result, our students receive a rich education in a creative, stimulating environment, where their many talents and skills are respected and their creativity and inquiring minds are nurtured every day. Each Auction revolves around a theme for the year. Previous themes have included Cabaret, Disco, Masquerade, Havana Nights, Diamond Jubilee, Wish Upon a Star, Enchanted Garden, and a Night in Spain. Auction Donation forms – Donate to the 2020 Auction today! Click here to donate to the 2020 Auction. Click here to complete the auction donation form online. Angel Donations – Sunshine Preschool accepts Angel donations for the Gala at any time. These leadership gifts help to elevate the auction donations and are a great way to support Sunshine if a family does not wish to donate an item to the Live or Silent auction. Click here to be an Angel donor for our 2020 Auction.